Microwave coordination through Wireless Applications is some of the most high detailed and accurate information our clients depend on to build the most resilient networks nationwide. From service to pricing, we provide a turnkey service which make coordinating microwave quicker than ever! 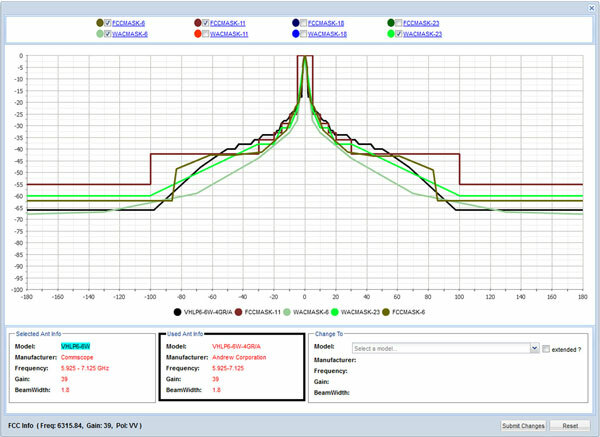 Provide a frequency analysis for the client with the ideal frequencies for your path(s). Provide high level path profiles for your path(s). Share coordination status in SiteSync Pro providing near real-time information to the client. Provide all appropriate and accepted FCC documentation for your path(s). Provide protection services for the lifetime of your network. 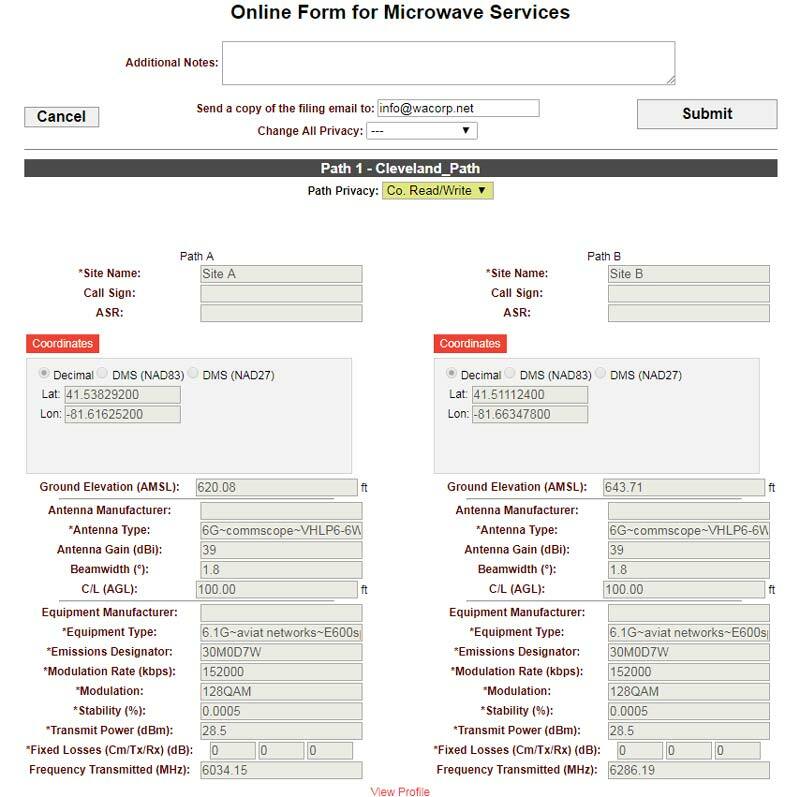 When utilizing Wireless Applications, Corp. as your selected coordinator for nationwide microwave coordination services, we work with our clients to make sure all requirements for your licensing needs are met in the most timely process. Our project management and engineering teams work with you directly to understand the volume and specifications of your engineered paths and develop a direct plan of action to get you licensed through the FCC. Comprehensive Research and Analysis of Prior Coordination/Application/Licensing to find optimal channels. Send detailed report of results to the client. Initiate and complete the Prior Coordination Notice (PCN) process. 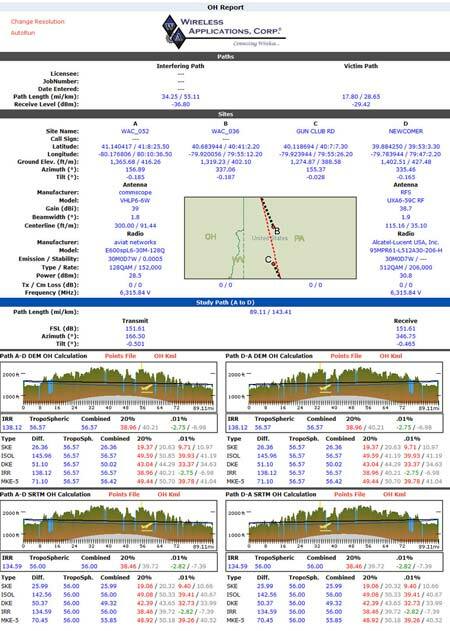 Monitor PCN status in real-time via SiteSync Pro and in collaboration with Wireless Applications, Corp. Engineering/Project Management Team. Perform the clearance of the PCN and mitigate objections on behalf of the client. Track status of filing until granted from the FCC. Wireless Applications, Corp. will waive FCC fees. Alert and communicate to clients impending expirations and deadlines. Perform the Notice of Construction. 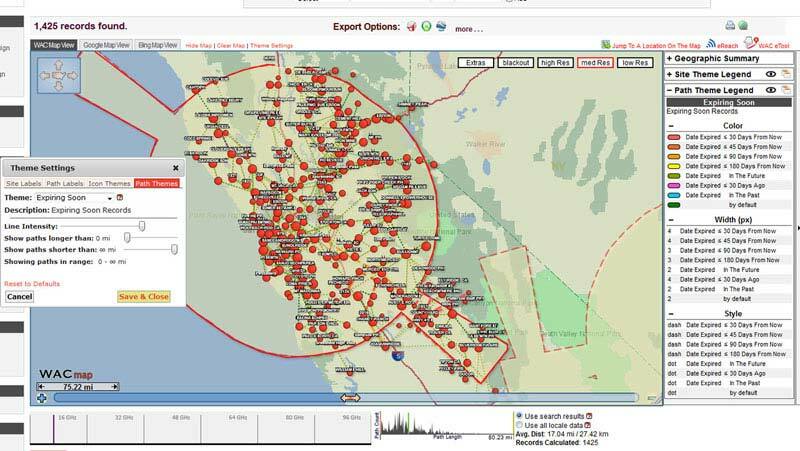 Monitor incoming PCNs Prior Coordination Notice /FCC Applications to insure that the path does not experience future interference/impact. Send monthly reports of activity affecting the client&apos;s network.